Creating these efficiencies will not only benefit your business, but it will make your life easier as well. By following these three tips, and with the right employment screening resources in place, you may be able to streamline your hiring process, maintain consistent practices and mitigate risk. Report scoring can be a powerful way to optimize your screening process. But what is it? Essentially, report scoring is part of your background check evaluation process, comparing background check results against your unique, established criteria to improve consistency and efficiency. It’s a way of checking whether your background check results are measuring up to your screening policy. So how does this streamline your hiring process? By adding report scoring to your employment screening resources, you can create rules to automatically color code various background check results based on your hiring policies. You can set rules to alert you to different criminal history results, levels of crimes, age of records, type of offense, employment verification discrepancies and other factors. Using these results, you can determine your next steps quickly and easily – helping you maintain consistent practices. With Verified Credentials' report scoring solution, you can spend your time evaluating background reports that need your special attention, not the ones that clear your criteria. Report scoring, if leveraged correctly, can be a powerful employment screening resource. 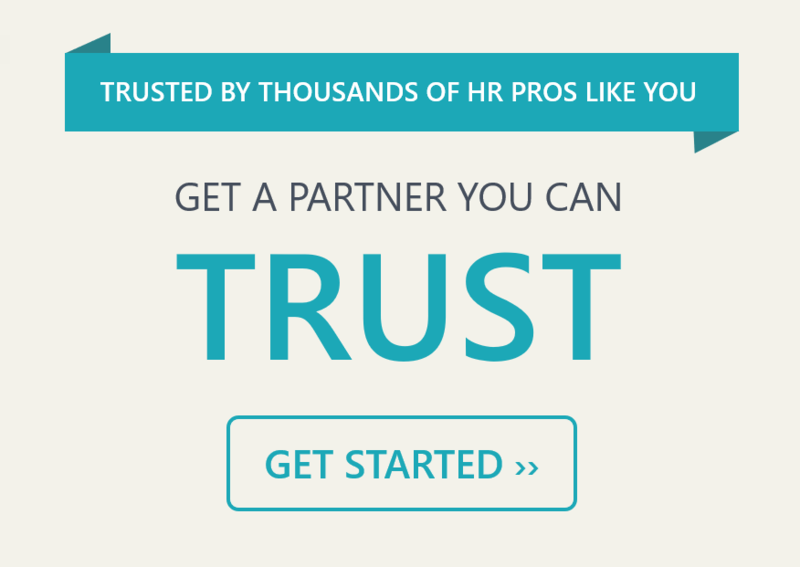 Want to automate your hiring rules within your screening workflow? Schedule a consultation to learn more about report scoring. The easiest work you’ll ever do is the work that someone else does for you. That’s why creating a portal for candidates to supply their own information can be a great way to streamline your hiring process. A self-service portal allows candidates to manage their own information, helping to minimize turnaround time, decrease data entry errors and reduce reporting costs. A self-service website also makes the entire background check process easier for your candidates and can help put them at ease during the hiring process. Altogether, a candidate portal is an extremely efficient and comprehensive employment screening resource. Thankfully, background screening provider Verified Credentials can provide one for you. For example, Verified Credentials’ Candidate Verification Center (CVC) makes it easy to collect all the information you need to complete a background check. The CVC incorporates information capture tools, like electronic signatures and your online disclosure and authorization forms. Those tools are packaged in an intuitive portal that can be tailored to match your brand identity for a seamless user experience. With a candidate self-service tool like the CVC, the background check workflow of collecting information, signatures and your documents is complete - and you don’t need to do a thing. Everything collected is automatically linked to your account to begin the background check. How much time and work could you save with a resource like that? And what would you do with that extra time? Think about it this way. For every 100 candidates screened, you could save two full workdays of work on average, maybe more. Talk about efficiency. Ready to see how the CVC could make your life easier? Schedule a free demo today. “Working smarter” typically takes the form of cutting out manual steps and streamlining activities. You can achieve this smarter screening process with some behind-the-scenes account preferences. Not all of your time-saving employment screening resources are visible on the surface of your background screening package. Trusted background screening provider Verified Credentials allows you to set up account preferences to place specific orders based on screening results. This creates an automated workflow of sorts, where next steps are automatically triggered based on the information returned by the background screening. For example, if a company was conducting a Social Security trace and uncovered additional names or addresses associated with the candidate’s Social Security number, those results could then be used to complete other types of searches that you’ve previously specified (such as criminal records searches). This helps keep your process consistent and helps fill in gaps of information. Using intelligent technology can be one of the best ways to increase automation in your hiring process. As an HR professional, your time is valuable. Why not make the most of it by finding additional ways to cut out on manual data entry and other time-consuming processes? By incorporating these tips into your background screening process, you can save time, money and keep your hiring process running smoothly. Ready to streamline your background screening process and make your life easier? Schedule a consultation with Verified Credentials today and let us help you start working smarter, not harder.